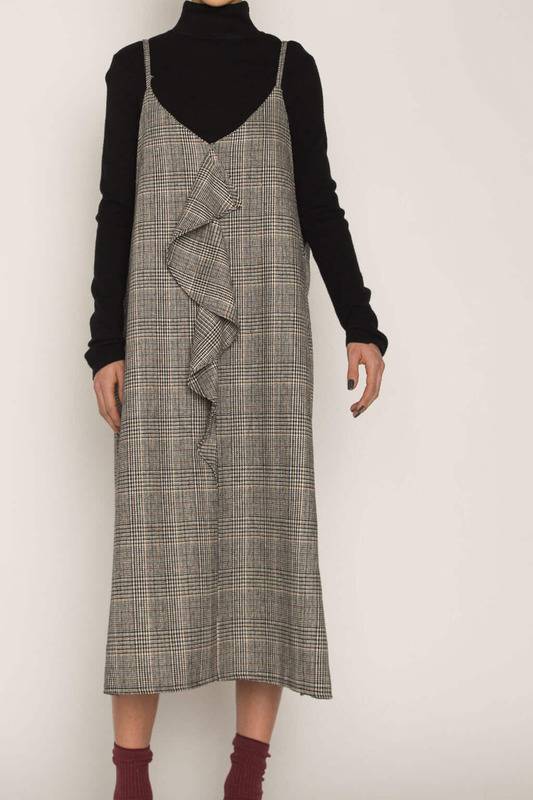 Perfect for layering, this midi-dress features an oversized fit with spaghetti straps, a V-neck, side slits, and a single front ruffle for feminine detailing. 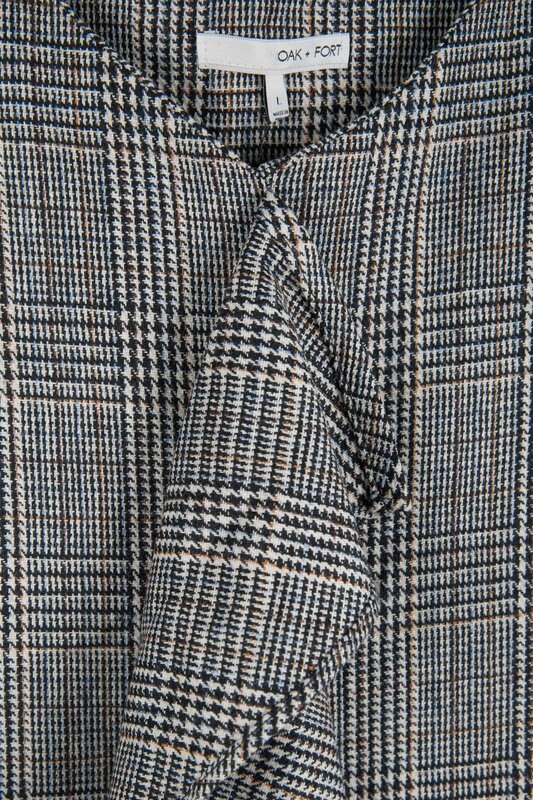 The houndstooth plaid print features subtle hints of orange and blue for a playful touch. Pair with a turtleneck and ankle boots for a retro-chic look.